When people ask me what are the problems I face with my skin, I would usually think of the obvious, Sensitivity, dryness etc. But what many don't know is that beneath all that foundation and concealer, I've been hiding these veins that are getting more prominent on my face as I age. I've been struggling with Facial Telangiectasia or known by the layman as “spider veins” for many many many years (read: more than 10 years) now. For many that don't know, Spider Veins is a dermatological skin disorder, and Vascular lesions occur when small capillaries in your skin become dilated. When grouped together, they can give the appearance of red spots, or sometimes large stains. When spread out, they are as visible as threads, just like mine. Spider veins can commonly be caused by to the sun or cold weather. I suffer from these thread like spider veins and have them on both sides of my face, mainly on my lower cheeks/jaw area. I've always been conscious about them the most part of my life because they make my skin look red, angry and as if I had been slapped countless of times in the face >< Ouch! 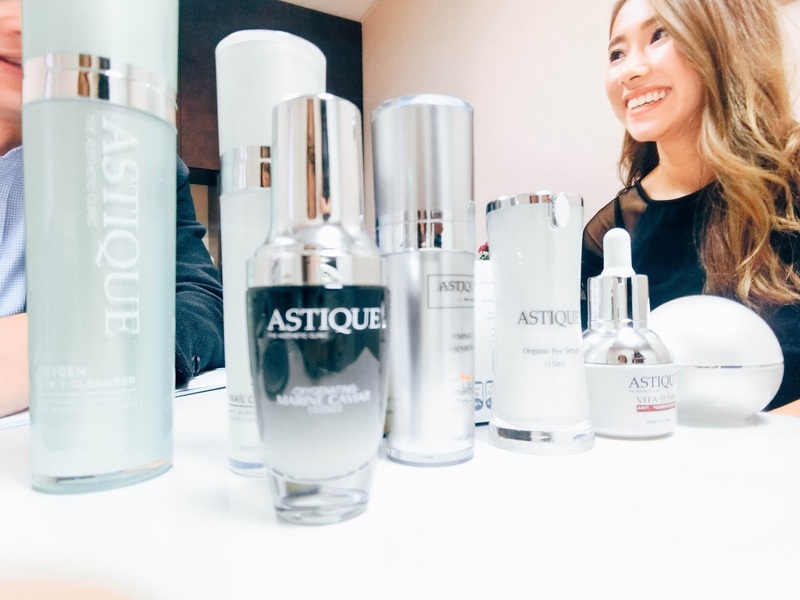 "It was time I got them treated" , I thought to myself as I started to notice the affected areas getting larger over the years, and here's myself documenting my progress after 3 sessions with Dr Ng Hong Yi at Astique The Aesthetic Clinic. I started off with consultation with Dr Ng, and he was super friendly and funny, but at the same time professional and was really patient when I posed so many questions about my skin condition. Always helps when you have doctors like Dr Ng himself that are experienced and knowledgeable about his trade. With that, he recommended the Dual Yellow Laser Treatment once a month for my skin, which is an all-in-one laser that does WONDERS for your skin! Dual Yellow Laser can be used to treat Acne, Pigmentations, Vascular Lesions (spider veins are a type of vascular lesion) , Bulky-Lesions (skin tags etc), Melasma, and even the overall skin rejuvenation... which basically is almost everything? I LOVE THIS LASER. Dr Ng first did a general skin rejuvenation step by running the laser across my whole face, before moving in to target my veins. 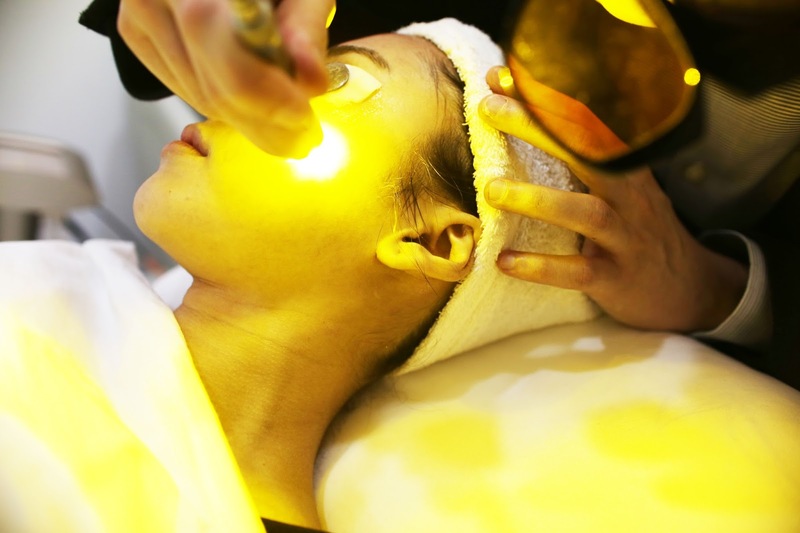 The yellow light from the Dual Yellow laser penetrates the epidermis to immediately shrink the capillaries. This happens because the yellow light is readily absorbed by blood to shrink the vessels. And if you ask me, the pain level would be 2/10. 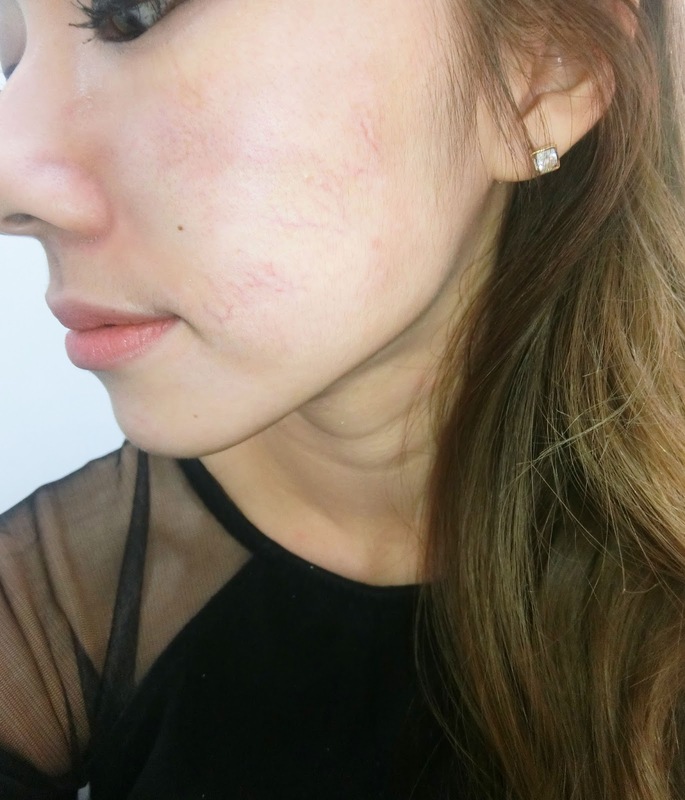 The overall skin rejuvenation part didn't hurt one bit, but for targeted spots like my vascular lesions, Dr Ng had to concentrate on the area with a stronger settings, so it was slightly more uncomfortable, but definitely not something one can't handle. Other benefits of the Dual Yellow Laser Treatment is the fact that it has NO DOWN TIME. Meaning you wouldn't experience discomfort, swelling or bruising. I was able to put on make-up before I left Astique and nobody could tell that I had just gone for a laser session! The results were also immediate, with my skin looking a lot brighter, clearer and definitely more glowy than usual. 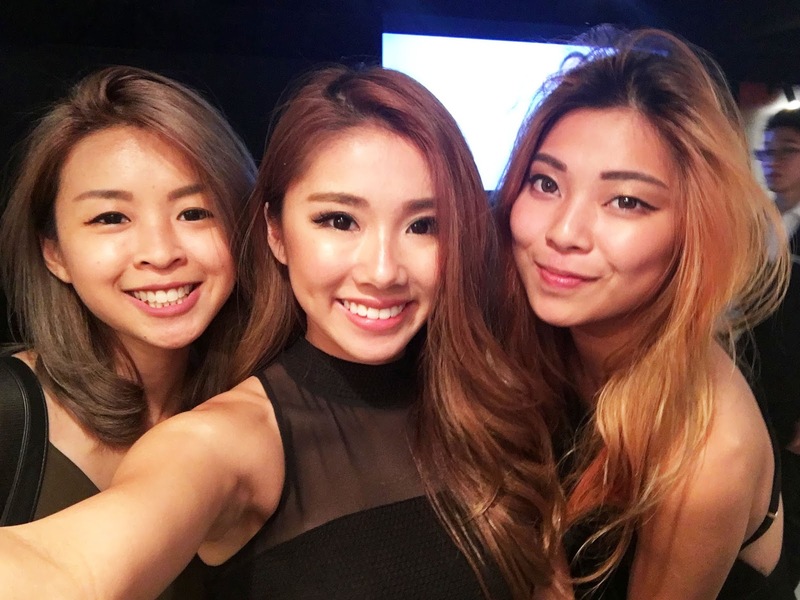 I went back to Dr Ng and Astique a month later, after I came back from London. Boy, my skin got soooo bad after the flights and the change in climates! Just look at how many blemishes i've got :( Depressing. By this time, my veins have faded slightly and became less obvious. I also needed less concealer to cover up the area because my veins have lightened significantly after the first session. We did the same for the second session and I was truly AMAZED by how much it did for my skin, considering it being in such bad shape. This was taken at the clinic right after my session, with no filter, no edits and no make up on my face. Look how much more radiant it looked? The next day, I attended Netccentric's 10th birthday bash and my blemishes were almost all gone in just one day.. this also is not edited at all! Can you guys spot my pimples? No right! 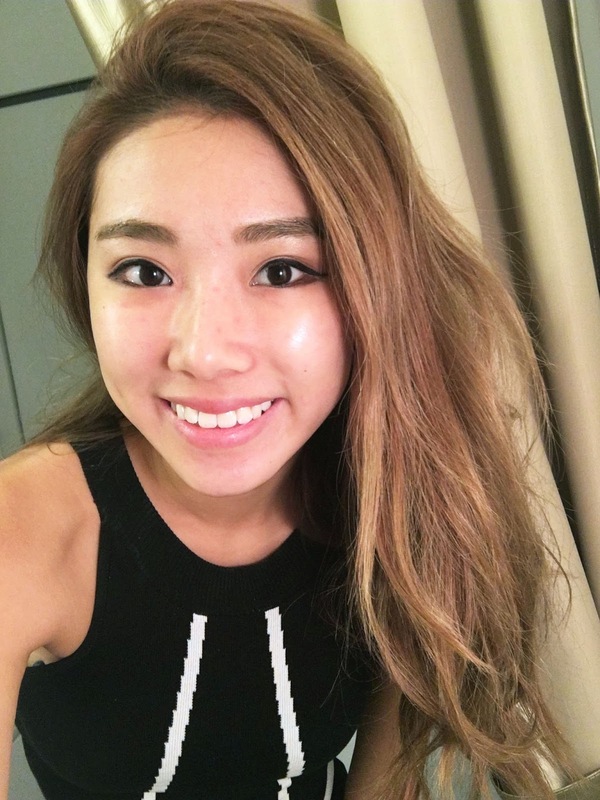 I was amazed at how immediate the results were, and how radiant my skin looked - lit from within, super radiant and healthy looking! By now, my skin had cleared up a lot and definitely looks a lot brighter, plumper and more radiant even without base makeup. My veins have also shrunk significantly after 2 treatments, with a few more treatments to go to completely get rid of them. I did my 3rd session with Dr Ng and it only lasted 20 mins from start to end, super quick and fuss free. Love that I always walk out feeling really great and ready to conquer the world! For a side-to-side comparison of my Vascular Lesions, you can see how much they've lightened and improved over 3 months! I would imagine this treatment to be extremely suitable for the working class adults, men and ladies alike. It is a quick, simple and easy treatment that you can run off to do during lunchtime and you don't need a lot of maintenance because it has no down time! Looking forward to see how much more my skin can improve with this treatment, thank you Astique and Dr Ng Hong Yi Clinic for bringing me good skin! For those looking to get your lasers done, I would highly recommend Dr Ng because he's really good and has many years of expertise in this field, you won't go wrong!